This article was originally posted on Bloomtown.TV. It provides you with some great information on what types of flowers are edible and safety tips to keep in mind when sampling them. Bloomtown TV is a reality web series and online community created to support the floral / horticulture business and highlights the important work of those working in floristry, agriculture, landscape design, and other related industries. Check out the website to watch episodes of their show! Using flowers in cooking and entertaining is one of the easiest ways to decorate a dish or cocktail. With backyard parties, and Mother’s Day just around the corner, flowers can add a unique touch to make your dish stand out. Flowers have been accenting world cuisines for thousands of years, dating back to the use of chrysanthemums by the ancient Chinese, and are coming back in full swing. There may be some delicious gems in your garden that you just don’t know about, and if not, they are very easy to grow! The flowers of many herbs are edible, and can be used in dishes. But, not all edible blooms are herbs; some are your typical flowers such as marigolds and daisies. Before you begin picking and sampling flowers, here are a few important tips: Not all flowers are edible, so make sure that it is before tasting it. (All culinary herb flowers, however, are edible.) Check a reference book or visit one of the following websites, like whatscookingamerica.net to check. Avoid eating any flower that has been sprayed with chemicals or pesticides. It’s best to eat your own edible flowers that you planted. Just because a flower is edible doesn’t mean it will taste good! Some will be more to your liking than others. Keep in mind that the stamen, pistil and sepal of some blossoms are bitter and can contain pollen that may detract from the true flavor of the flower and may also affect those with allergies. 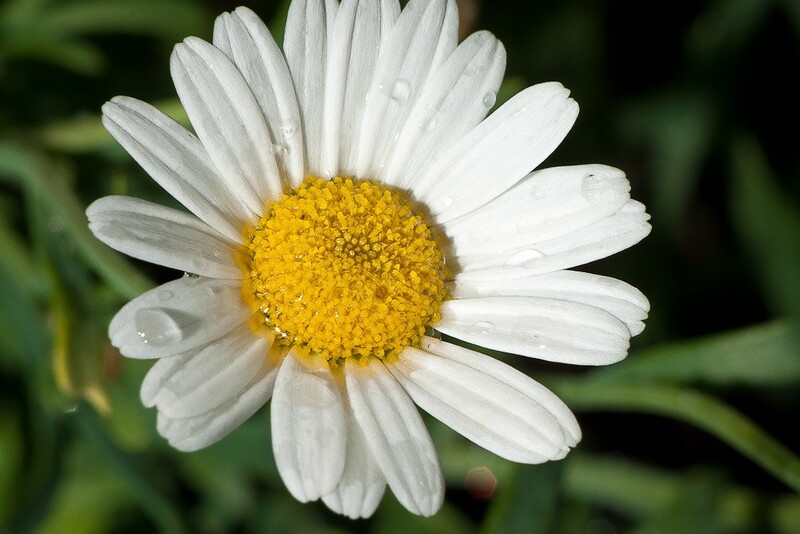 Chamomile: Easily grown from seeds, chamomile grows 1 to 2 feet tall in full sun. It has a sweet apple flavor and fragrance that makes a delicious cup of tea. Nasturtium: nasturtium comes in a display of colors, including orange, pink and yellow. 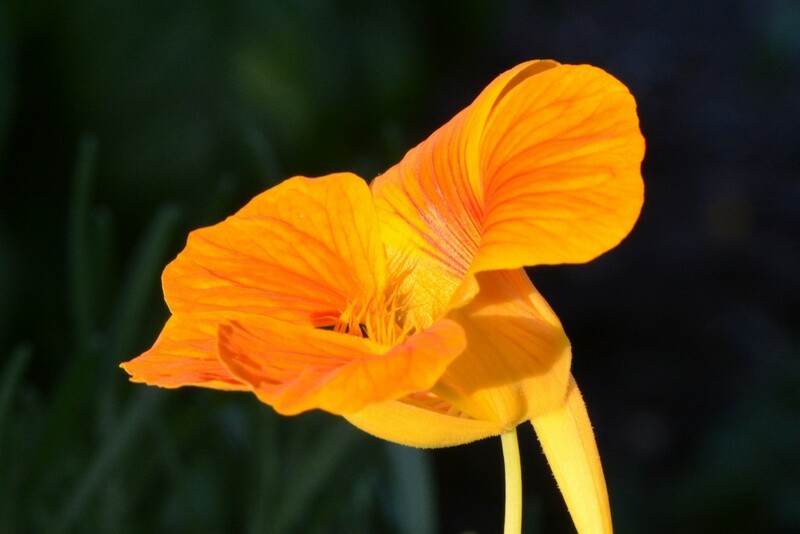 Nasturtium prefers light, sandy soils in full sun, with partial shade in hot temperatures. Flowers and leaves taste peppery and are great in salads, herb vinegars, sandwiches and even as a pizza topping. Roses: Who knew you could eat a rose!? Roses grow best in rich, well-drained soil with full sun and good air circulation. The older varieties, such as Rosa rugosa and Rosa gallica, are considered the best tasting roses. Petals add a floral flavor to jellies, honey, vinegars and salads. Sweet Violets and Pansies: These two violas are old-fashioned culinary favorites that bloom best in cool weather, and prefer rich, moist, well-drained soil. Partially shaded locations are preferred in hot climates. Sweet violets are perennials with aromatic purple or white flowers. These pretty flowers add sweet, perfumed or wintergreen flavor to salads, fruit and vegetables. Float flowers in punch, or candy the petals for elegant cakes and cookies. Calendula: Also known as marigolds, this annual edible flower was a favorite in medieval cooking pots and is beautiful with yellow to deep orange flowers. Provide afternoon shade in hot temperatures. In colder climates, start indoors. Try chopped leaves and petals in soups, salads and stews. Next time you want to try a little something different in your cooking, take a trip to your garden and jazz up your table with some unexpected ingredients.